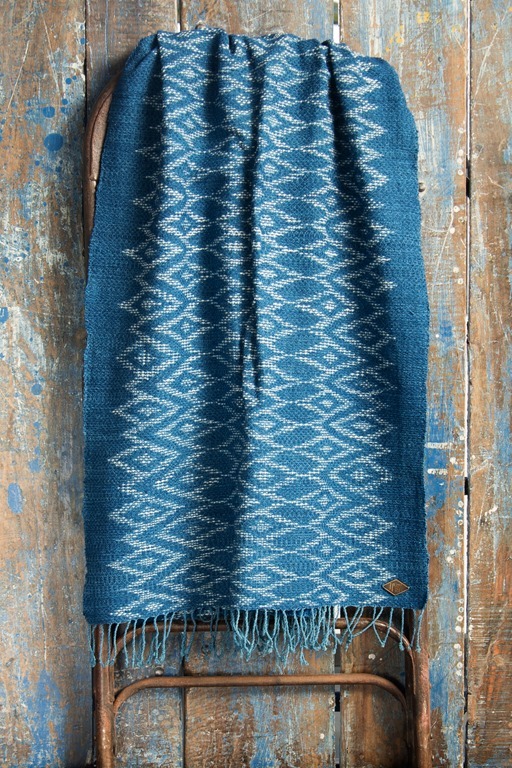 The main weaving techniques used are ‘ikat’, ‘open weave’, ‘batik’, and ‘4-grill’. These production methods can result in little imperfections, giving each product a unique appearance. 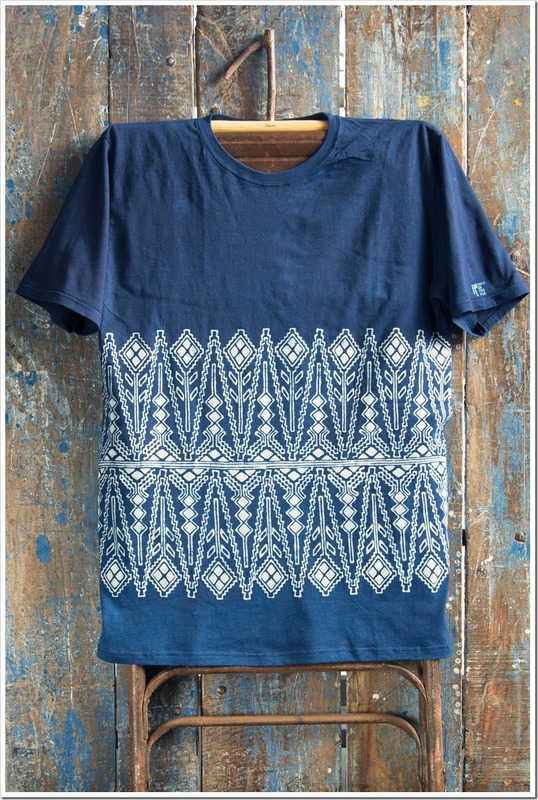 The main material is based on unbleached and unprocessed cotton. The raw cotton is manually spun, which results in unevenness in the yarns. These little nubs in the weaving yarns give the product a natural and rugged look. 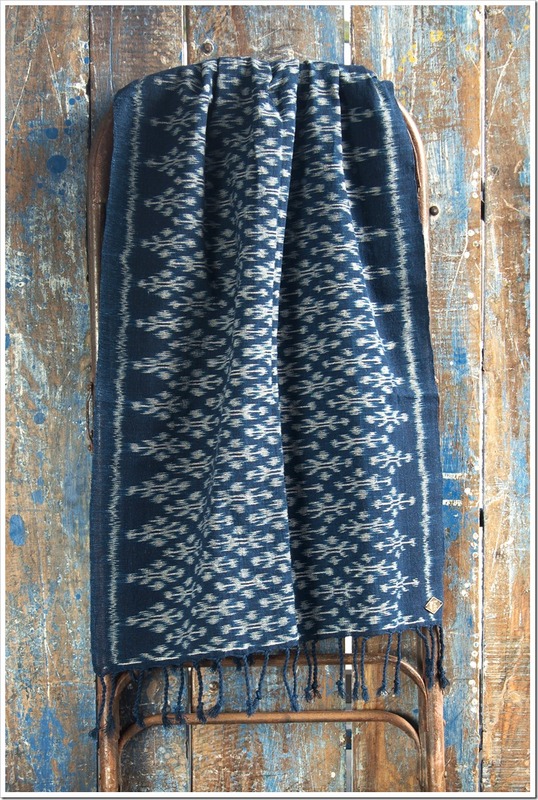 The scarves are traditionally hand loomed and manually dyed in natural indigo following the ikat technique. 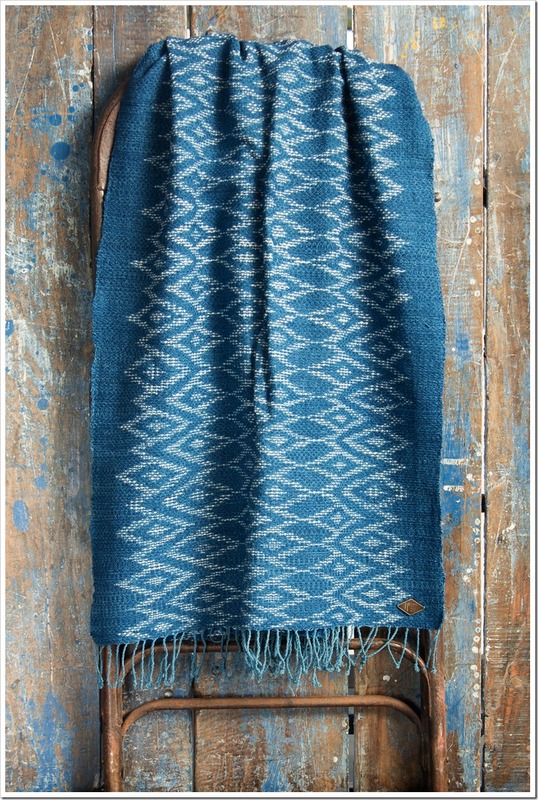 The patterns are manually tied on the weaving yarns to resist dye. 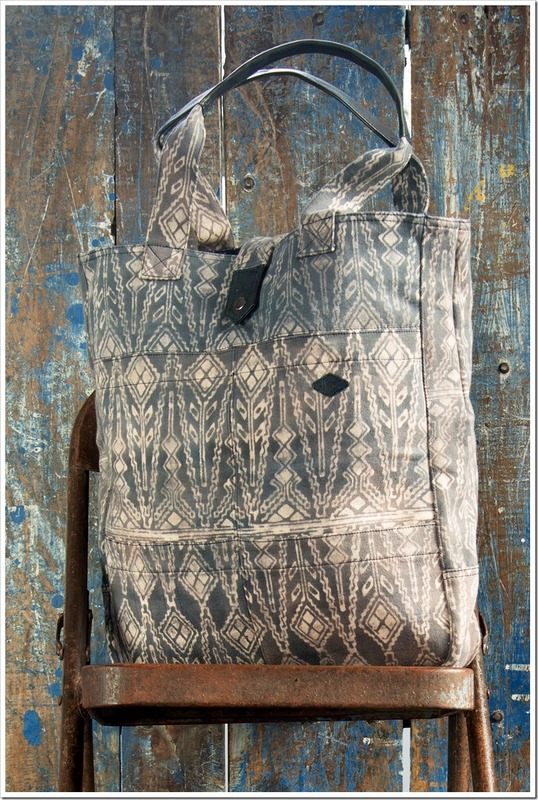 The designs are inspired by vintage ikat patterns and given a contemporary twist. 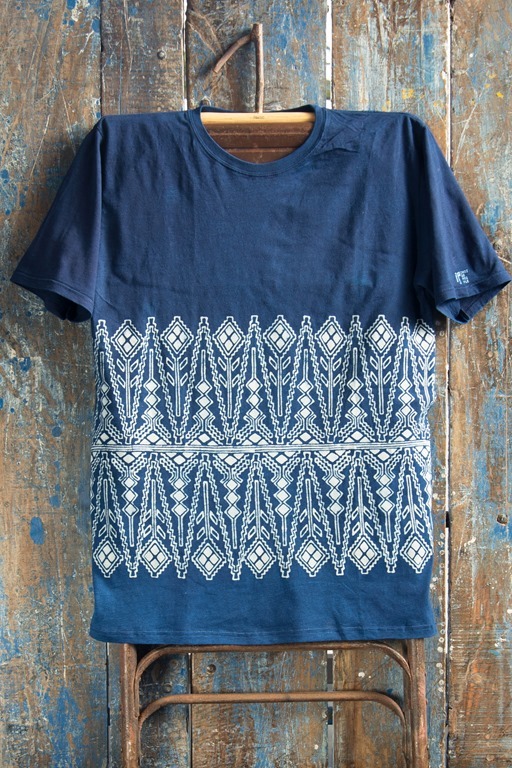 New is the composition of 70% cotton and 30% rayon. The blend of cotton and rayon results in a very soft hand feel and increase the wear comfort of the scarves. 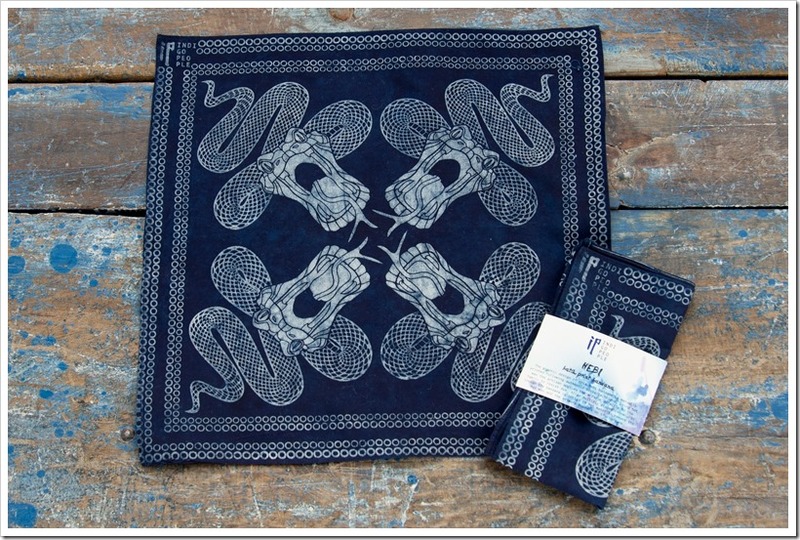 Next to the well known handcrafted indigo scarves and ties, Indigo People is bringing 3 new product groups in this new collection: T-shirts, Bandanas , Ties and Bags. 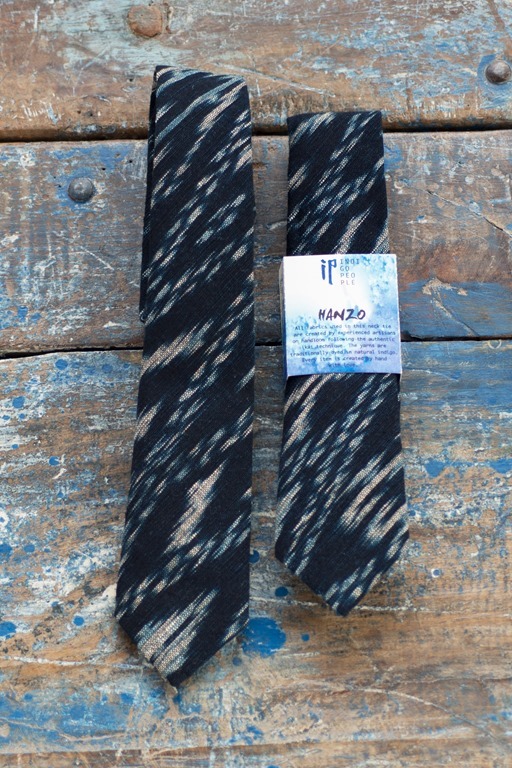 All ties are made from fabrics that are natural indigo dyed and hand woven following the traditional ikat technique. 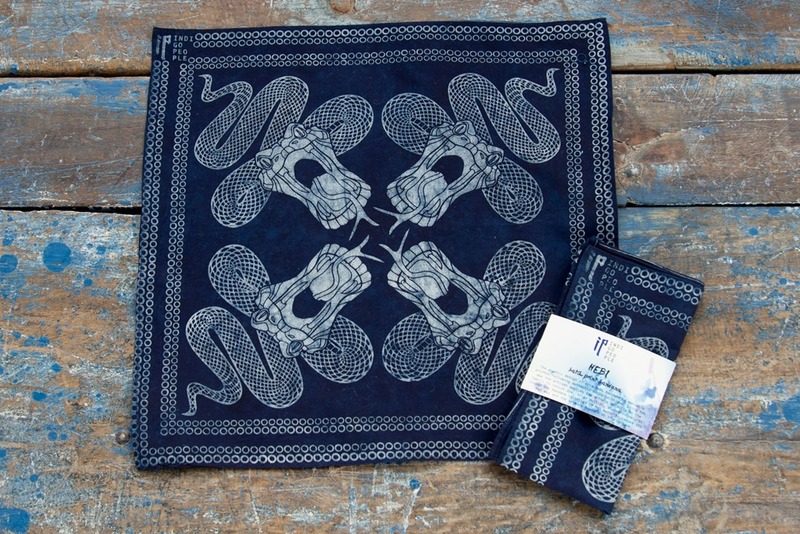 The inspirations for the sophisticated ikat designs come from the old Japanese Shibori Textiles.The t-shirts and bandanas are produced following the authentic batik technique. 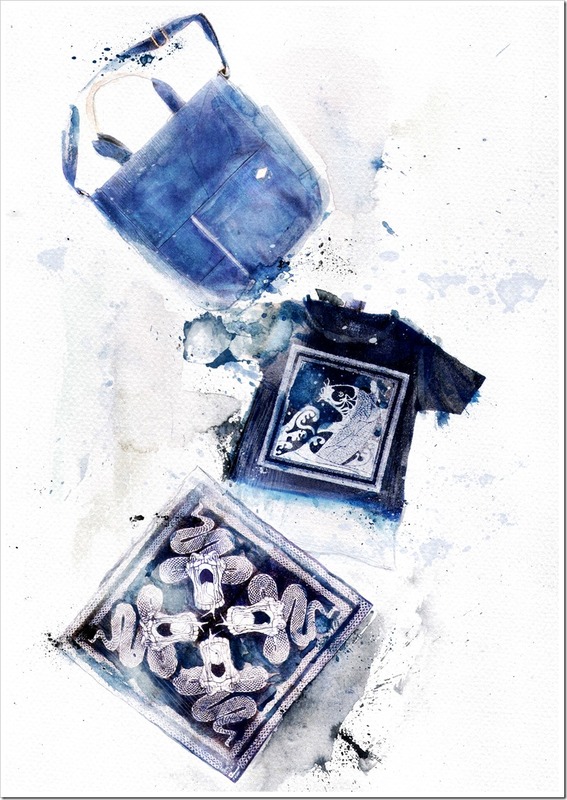 The artworks are stamped or printed with hot wax to resist dye during the indigo dyeing process. 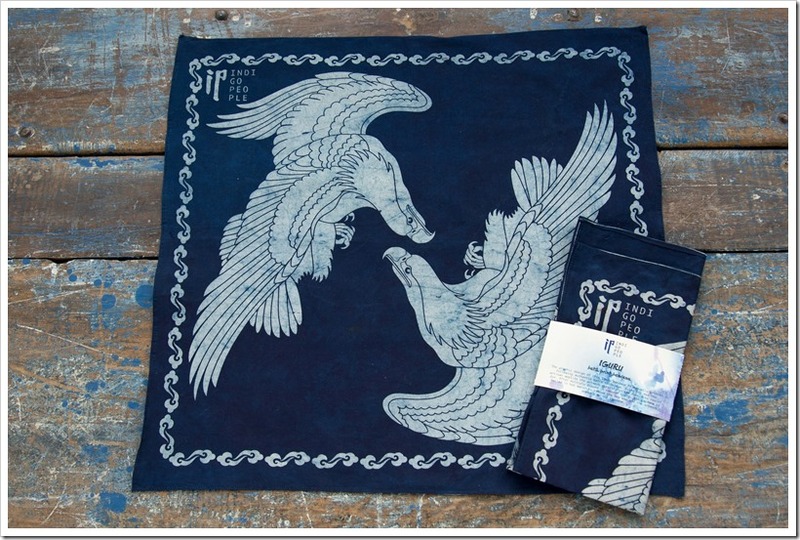 The artworks are then cracked and the garments are manually dyed, piece by piece, in natural indigo. 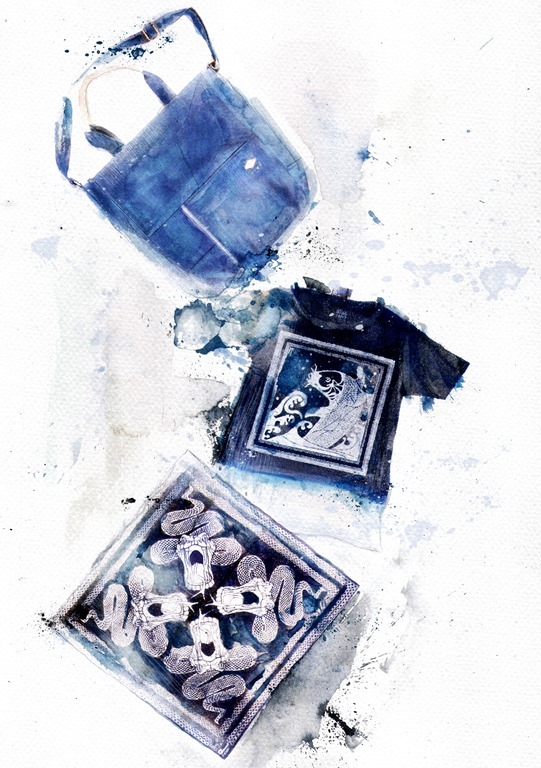 To reach the dark indigo color, the dye master has to dip the garments up to 16 times in indigo. 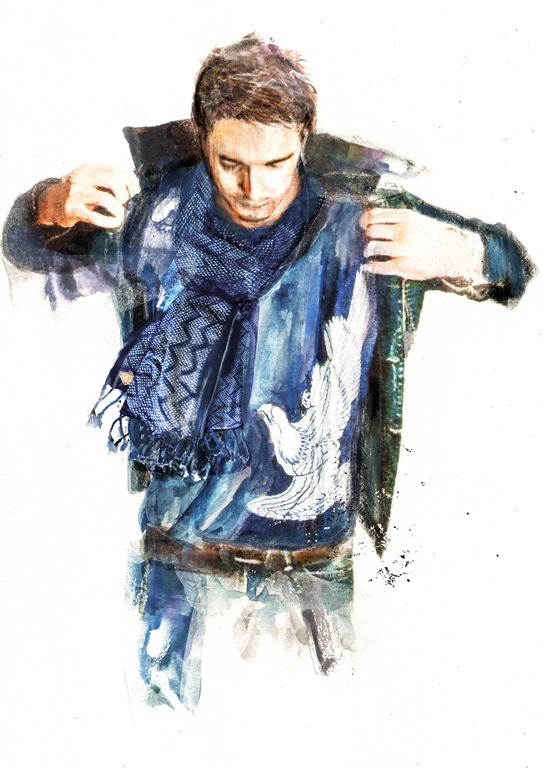 After dyeing, the garments are boiled in hot water to remove the wax. 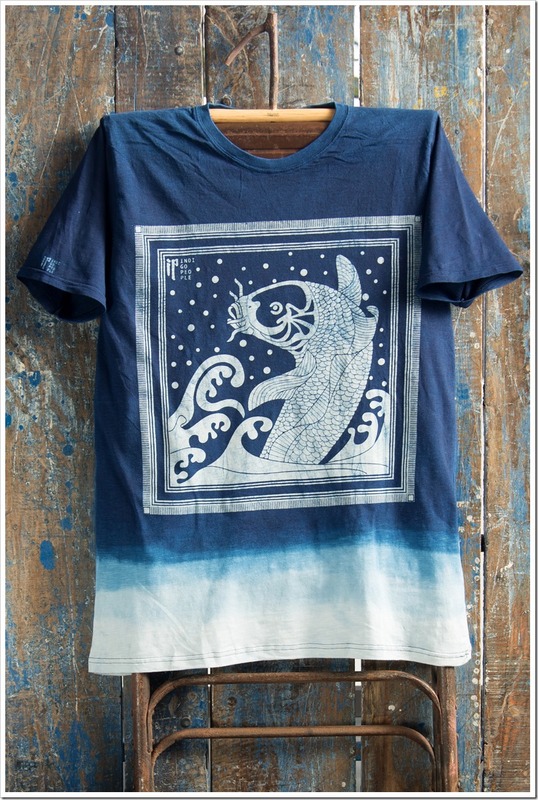 The printed artworks and the cracked lines remain their raw color and appear on the garments. 17-ounce hand woven selvedge denim in natural indigo . 17-ounce hand woven batik denim. The 17-ounce selvedge denim is hand woven and hand dyed in natural indigo. Because of the manual dye process, a color difference occurs in the finished fabric, there is no way to avoid this. 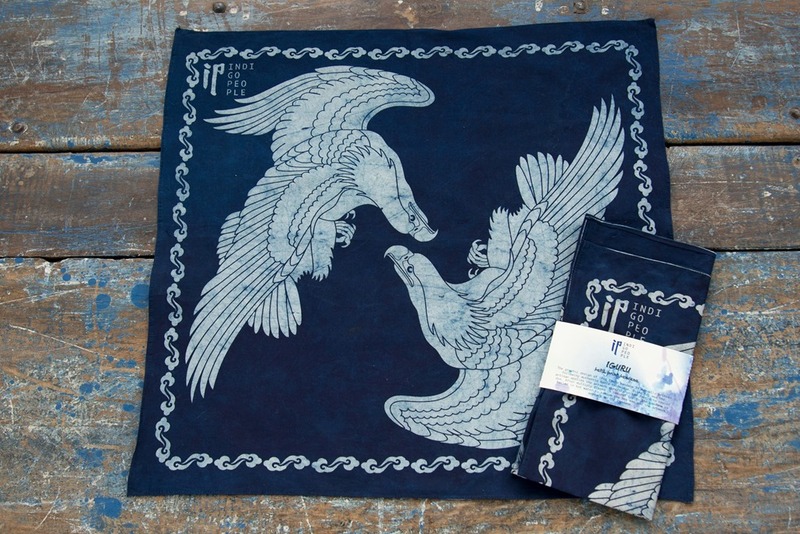 This is considered as the uniqueness and charm of hand woven and hand dyed denim. 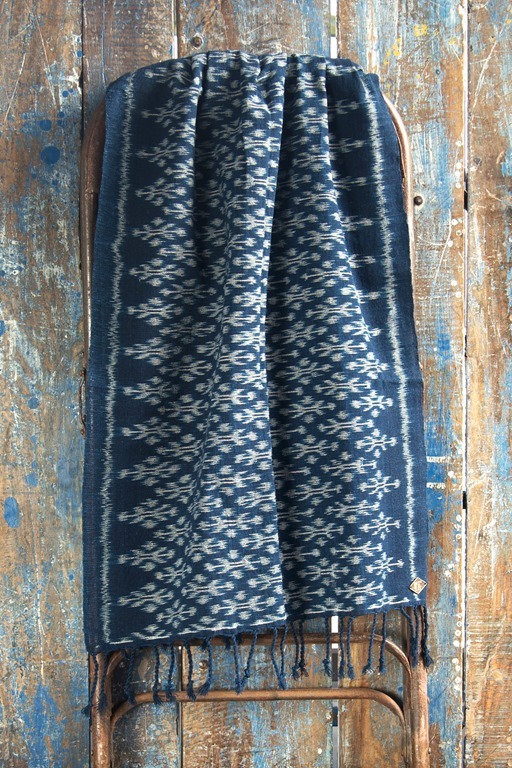 The base twill fabric of the 17-ounce batik denim is hand woven like the selvedge denim. 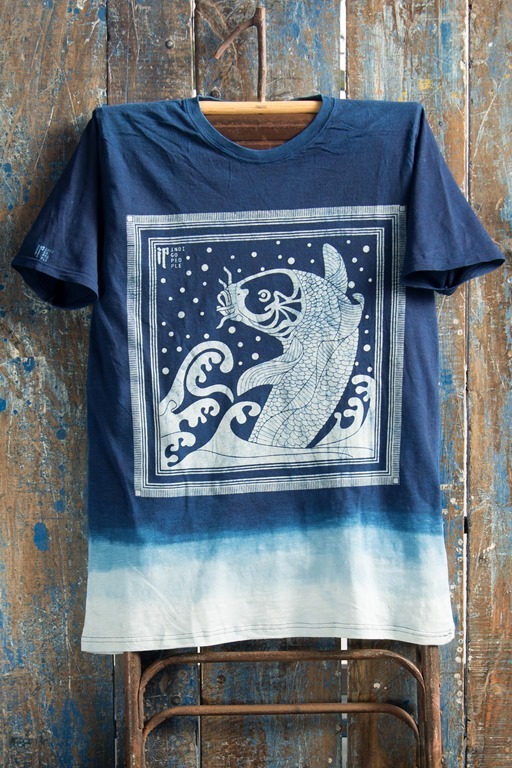 The pattern is printed following the traditional batik printing technique by stamping with hot wax. Removing the wax in hot water causes big color shading in the fabric because of its heavy weight and thickness; this color shading gives the fabric a vintage look.